A quite amazing racing programme from pre war, Donington 1938. 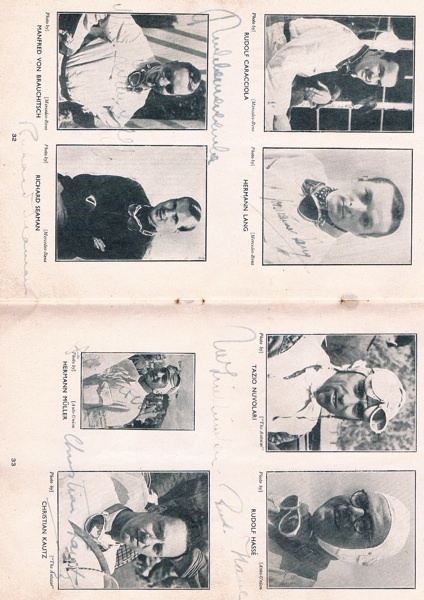 The programme is complete but frailed and some pages are loose. 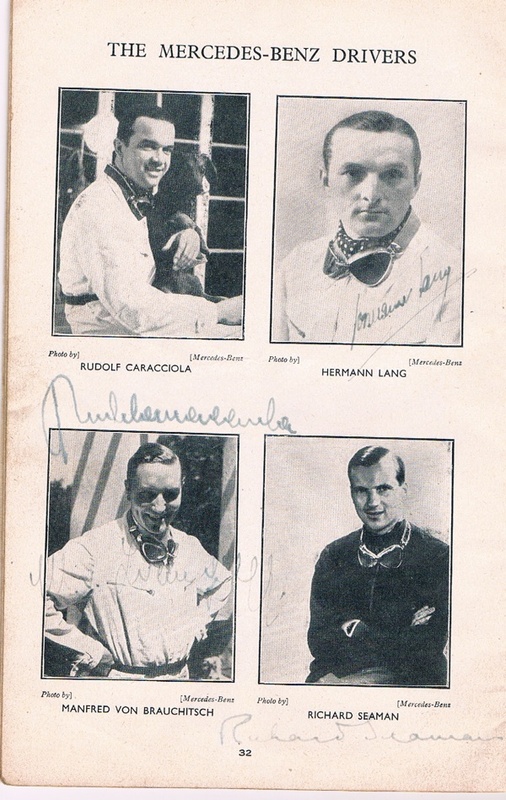 The programme, dated 22nd October 1938, has been signed on pages 32 and 33 (attached) by the Who’s Who of pre-war racing – set out as those driving for Mercedes and those driving for Auto-Union, including Rudolf Caracciola (1901 – 59) Hermann Lang (1909-87 ) Manfred Von Brauchitsch (1905 – 2003) Richard Seaman (1913 – 39 ) Tazio Nuvolari (1892 – 1953) Rudolf Hasse (1906 – 42 ) Hermann Muller (1909 – 75 ) and Christian Kautz (1913 – 48 ). 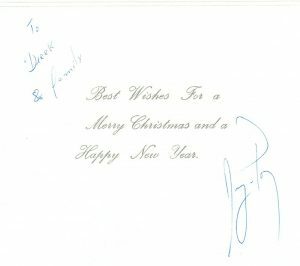 Quite an amazing item. 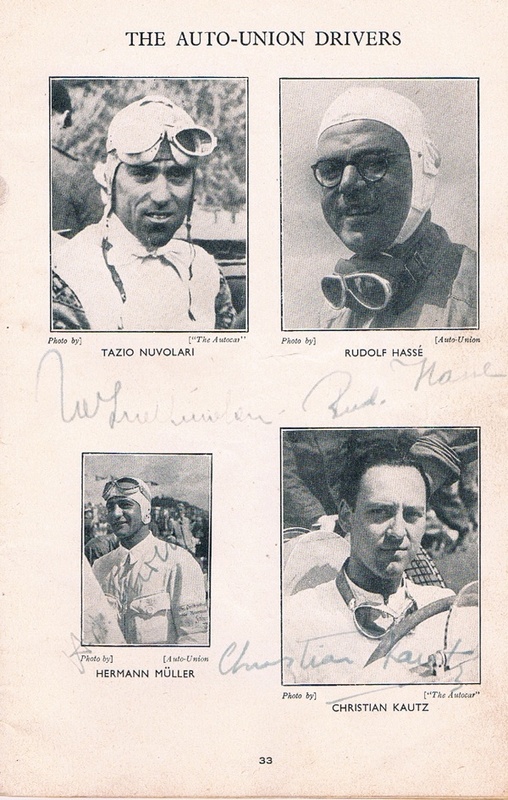 The signatures are weak, particularly of Von Brauchitsch, whilse others have ben signed across dark areas. Nuvolari won the race in the Auto-Union. 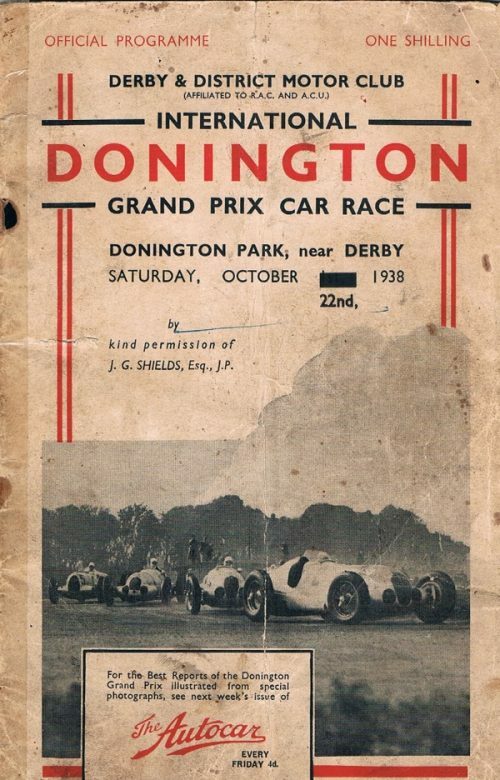 Donington circuit was closed in 1939 due to the advent of World War II.